Jane Beedle, Andrew Smyth, and Candice Brown went head-to-head in a closely contested royal themed final. Great British Bake Off final: Who will win? The final three bakers left in the Great British Bake Off will take to the tent one last time tonight in a bid to be crowned champion. Hussain, who won the show in 2015, said that she would continue to work on The One Show and other "programme ideas" for the broadcaster. Taking to Twitter, comedian Saunders described reports she and Dawn French would join the popular baking show as "complete b******s". 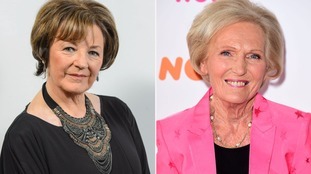 Channel 4 have denied reports that Delia Smith could replace Mary Berry on the Great British Bake Off when it moves from the BBC. Reports that comedy duo Dawn French and Jennifer Saunders could also host the popular baking show have also been squashed. A spokesman said: "We are taking our time to find the right presenters and judges for Bake Off. We have not approached anyone about the roles. Mary Berry recently confirmed she would leave the show when it moves to Channel 4 out of "loyalty" to the BBC. But Paul Hollwood has revealed he will stay with the programme as it moves channels. Current presenters Sue Perkins and Mel Giedroyc have also said they will not return to host the show. The BBC have confirmed that Mary Berry will stay with them and quit the baking show that is moving to Channel 4. The Duke of Cambridge was decorating cupcakes with young people when he suggested the show will still be "just as good" once it moves. Sue Perkins and Mel Giedroyc will step down as hosts of the show when it moves to Channel 4, a spokeswoman confirmed. The current series of The Great British Bake Off will be the last to air on the BBC, the production company said.